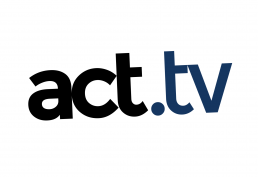 While working for Three Knights Media, I designed the logo and created numerous user interface designs for Act.tv. The logo captures the essence of progressive culture and represents a bold image that can be used across multiple media. I performed typographic research to create and build a wordmark which would be highly versatile and capable of standing alone or being paired with other visual elements. 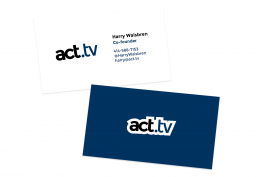 The end result is a striking and memorable mark with a clear and effective typographic message. Other work included desktop and mobile app designs, custom social media design, webpage layout, graphic, and typographic treatments.